Anne T. Donahue is an esteemed journalist, columnist, and comedy writer based in Cambridge, Ontario. 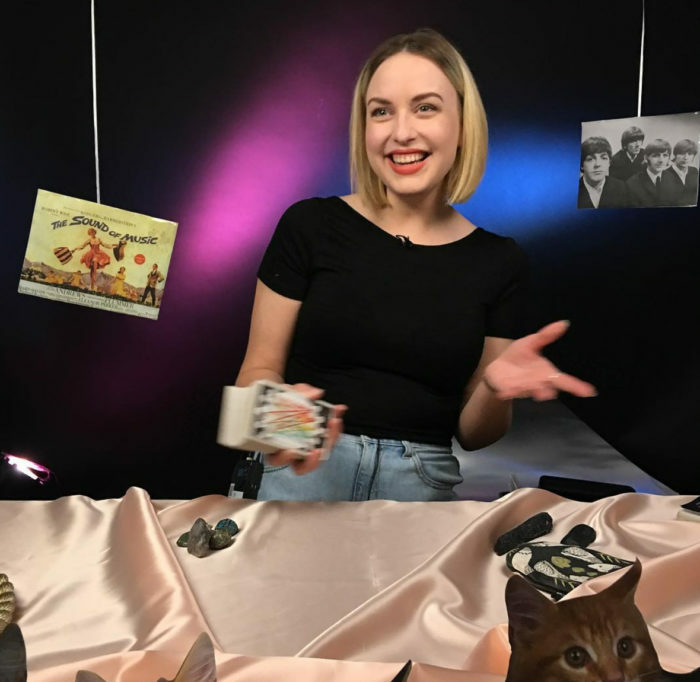 A bona fide social media superstar, Donahue covers music, television, fashion, film, feminism, and other topics, which she frames from her own compelling and witty perspective. She has worked for MTV and contributed pieces to the Guardian, Cosmopolitan, Refinery29, and the Globe and Mail and you might have seen her on E! Celebrity Style Story or heard her on the CBC Radio show, q. Anne first appeared on this show in 2013 and was recently featured on a Long Night episode discussing social media and fame. She’s currently writing a book for ECW Press called Nobody Cares so, since we’re both Cambridge people, she and I met at the 50s Grill & Deli recently and had a deeply personal conversation that reveals a lot about her, a lot about me, and a lot about what she thinks of me and you and all of us. Sponsored by Pizza Trokadero, the Bookshelf, Planet Bean Coffee, and Grandad’s Donuts.